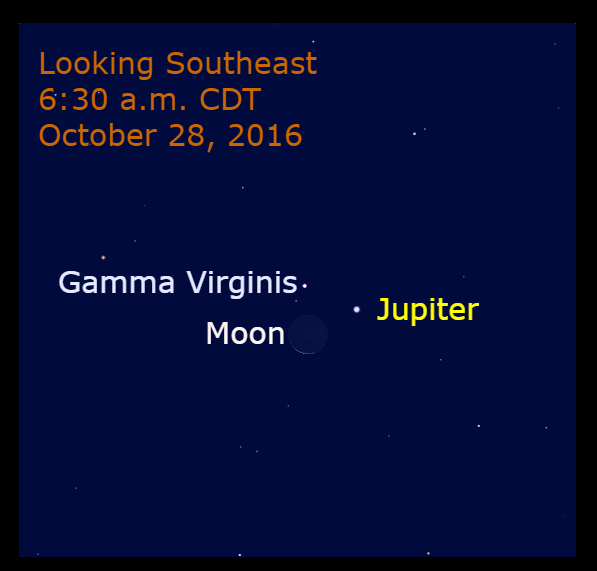 On the morning of October 28, Jupiter passes the star Gamma Virginis and the waning crescent moon is about 1.5 degrees from Jupiter. Look in the southeast at about 6:30 a.m. CDT in the Chicago area. In your location check about 50 minutes before sunrise.